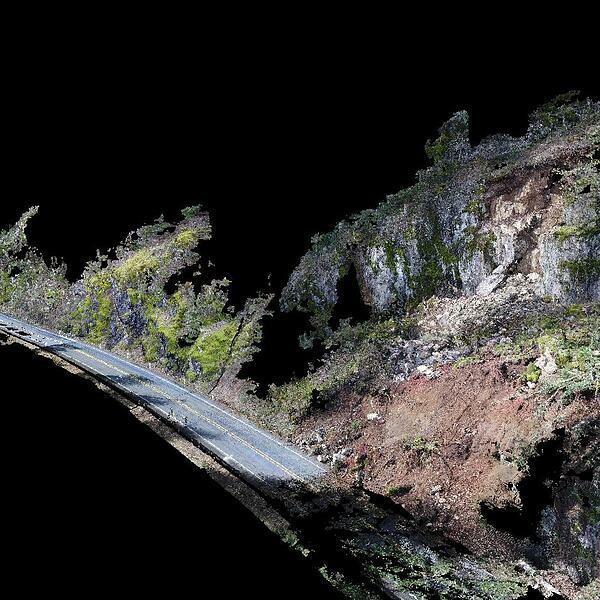 The Washington State Department of Transportation (WSDOT) contacted MacKay Sposito about an emergency response UAV flight to respond to a landslide on SR 503 near Speelyai Recreation Road. In mid-March of 2017, the Washington State Department of Transportation (WSDOT) contacted MacKay Sposito about an emergency response UAV flight to respond to a landslide on SR 503 near Speelyai Recreation Road. The call came on a Tuesday evening and we were able to review flight restrictions, plan our flights and necessary ground survey control, and mobilize for the flight within 48-hours, as determined by weather conditions. Both directions of SR 503 near Speelyai Recreation Road (milepost 33.6) west of the community of Cougar is closed due to a landslide of rock, trees, and debris, blocking travel across both sides of the roadway. Initial evaluations deemed that the slide was likely to continue to spread, halting travel through the area indefinitely. 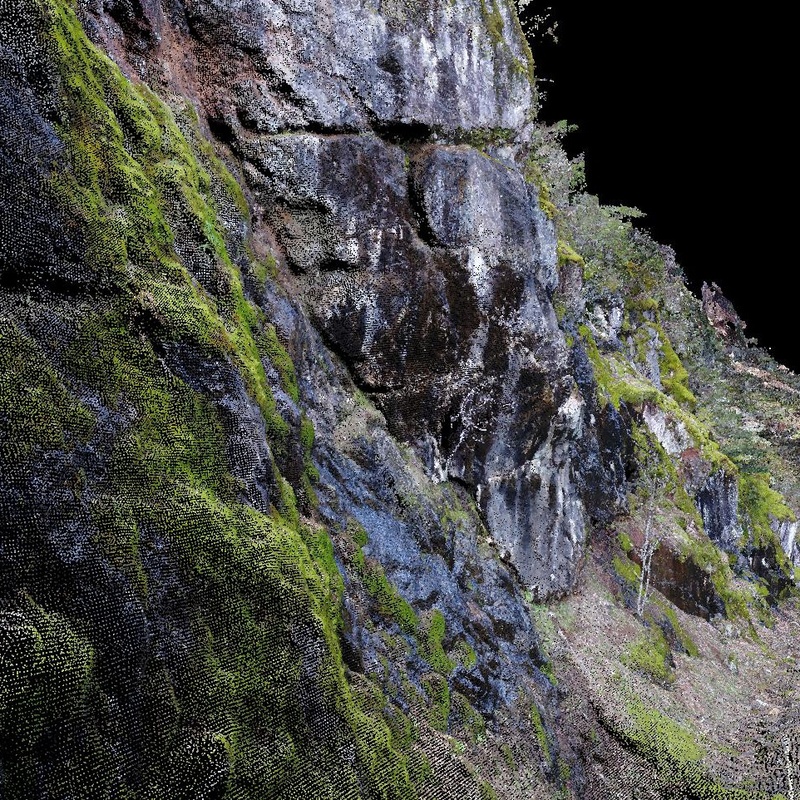 The unreliable state of the landslide made it inadvisable for traditional surveying methods to be used on the 200ft span of land, making UAV technology a smart choice to address the situation safely. After reviewing WSDOT’s needs, we determined that the flight along SR 503 was heavily vegetated with large stands of tall trees. This, along with the nature of the slide and steep slopes, required that we fly the project with our DGI Phantom Pro Plus quadcopter. The landslide was active, and access to the area was restricted due to safety concerns. 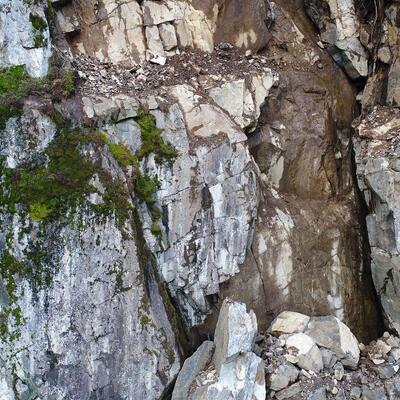 The goal was to develop high-definition photography and 4k video of the slide area so that WSDOT’s geotechnical engineers could determine the nature of the slide and ongoing safety of the area. The goal was also to provide an accurate 3-dimensional model of the slide so that earthwork volumes could be developed and explosive charges planned (for addition slope removal).